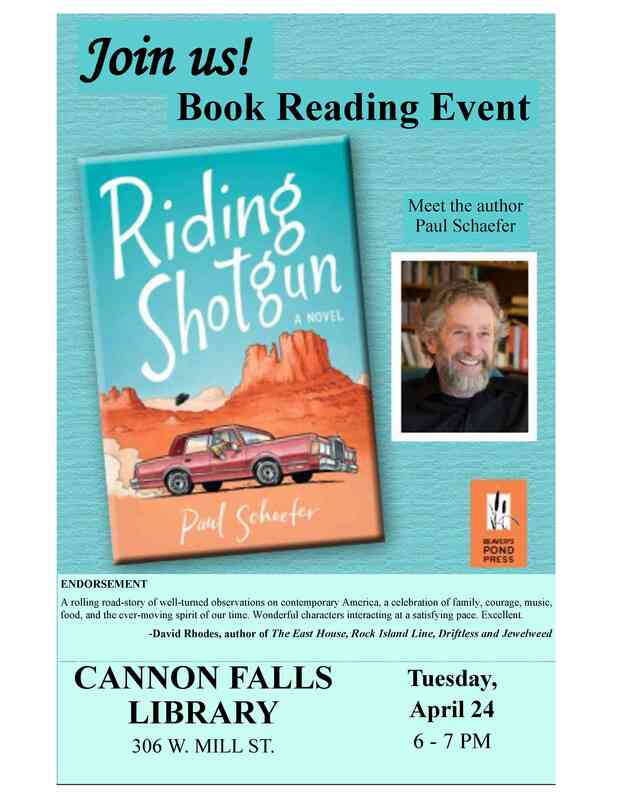 Join us as we welcome Paul Schaefer, author of Riding Shotgun, to the library. In 2017 Riding Shotgun won a national Independent Publisher Bronze Medal IPPY Award for Best First Book – Fiction. 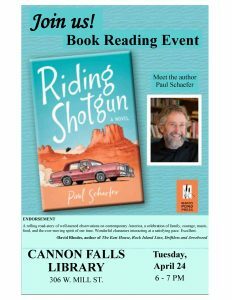 A lover of books, music, and art, this is Paul’s first work of fiction.